Weddings are expensive. Plain and simple. The dress, the venue, the rings, the church, the favors, and well, even the flowers add up to a big cost. 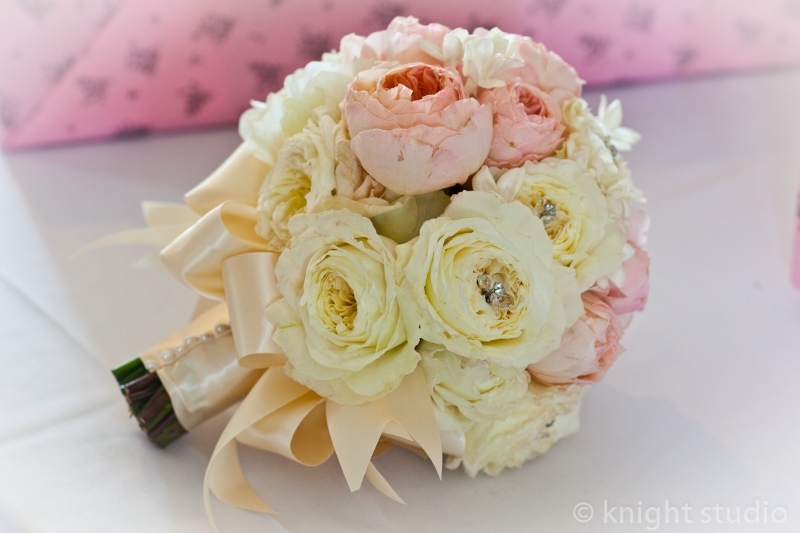 Flowers are, though, can be arguably the most beautiful part of any wedding. They can bring out an accent to any color scheme the bride and groom desire, naturally, and their symbolism is something that can’t be transformed into any monetary amount. Suggestions have been made that flowers can cost as much as 10 percent of the entire wedding budget, or even more. These are based on how many flowers one orders, what kind of flowers are ordered, and how much preparation a florist takes to prepare the flowers for the wedding, which includes the bouquet, boutonnieres, corsages and flowers for the reception. To figure out how much you think floral for a wedding would cost, simply break down how much each specific wedding flower will cost. The bouquet ($75-300), bridesmaid’ bouquets ($30-75 each), corsages and boutonnieres ($10-30 each), the pew flowers ($25-50 each), centerpieces ($30-50 each), flower girl bouquet or petals ($20-40) and even random things like flowers for the cake, flowers situated in the altar, sometimes the bride and bridesmaids have flowers in their hair and other accents situated around the reception and wedding facility. These costs add up. They could be as little as $500 or as much as $5,000. Whatever your wedding budget is, though, there is a solution for the flowers involved. No matter how much you spend on flowers for your wedding, Buffalo Wedding Florist and Plant Place can cater to any envision one has, from simple to extraordinary.